1. 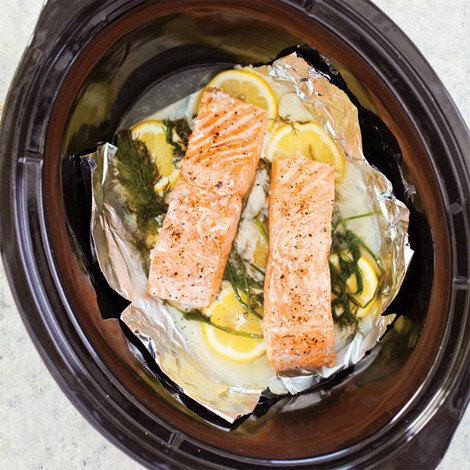 Fold sheet of aluminum foil into 12 by 9-inch sling and press widthwise into slow cooker. Arrange lemon slices in tight single layer in bottom of prepared slow cooker. Scatter dill stems over lemon slices. Pour water into slow cooker until it is even with lemon slices (about 1/2 cup water). Season fillets with salt and pepper and place skin side down on top of lemon slices. Cover and cook until salmon is opaque throughout when checked with tip of paring knife and registers 135 degrees, 1 to 2 hours on low. 2. Combine sour cream, mustard, lemon juice, and minced dill in bowl and season with salt and pepper to taste. Using sling, transfer fillets to baking sheet. Gently lift and tilt fillets with spatula to remove dill stems and lemon slices and transfer fillets to individual plates; discard dill stems, lemon slices, and poaching liquid. Serve with sauce. 1. Fill slow cooker with 1/2 inch water (about 2 cups water) and place aluminum foil rack in bottom. Grease 6-inch springform pan and line with parchment paper. 2. Whisk flour, baking powder, baking soda, cinnamon, cloves, and salt together in bowl. In large bowl, whisk sugar and egg together until smooth, then slowly whisk in oil. Stir in flour mixture until just incorporated. Gently fold in carrots. 3. Scrape batter into prepared pan and smooth top. Gently tap pan on counter to release air bubbles. Set cake on prepared rack, cover, and cook until toothpick inserted in center comes out clean, 3 to 4 hours on high. 4. Let cake cool completely in pan on wire rack, 1 to 2 hours. Run small knife around edge of cake, then remove sides of pan. Remove cake from pan bottom, discarding parchment, and transfer to serving dish. Dust with confectioners’ sugar, if using. Serve. Using electric mixer set at medium-high speed, beat 4 ounces softened cream cheese, 2 tablespoons softened unsalted butter, 1 teaspoon vanilla extract, and pinch salt until smooth, 2 to 4 minutes. Reduce speed to medium-low, slowly add 1/2 cup confectioners’ sugar, and beat until smooth, 4 to 6 minutes. 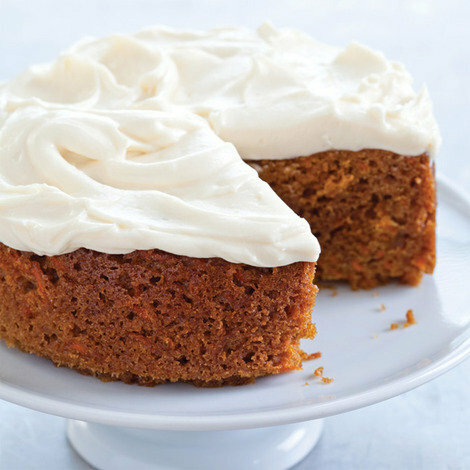 Increase speed to medium-high and beat until frosting is light and fluffy, 2 to 4 minutes. Makes about 3/4 cup. 1. Combine broth, pepper jelly, soy sauce, 1 tablespoon ginger, and tapioca in slow cooker. Season chicken with five-spice powder, salt, and pepper and nestle into slow cooker. Place steamer basket on top of chicken and place bell peppers and baby corn in basket. Cover and cook until chicken is tender, 2 to 3 hours on low. 2. Remove steamer basket and transfer vegetables to bowl. Transfer chicken to cutting board, let cool slightly, and slice into bite-size pieces. 3. Whisk braising liquid to recombine. 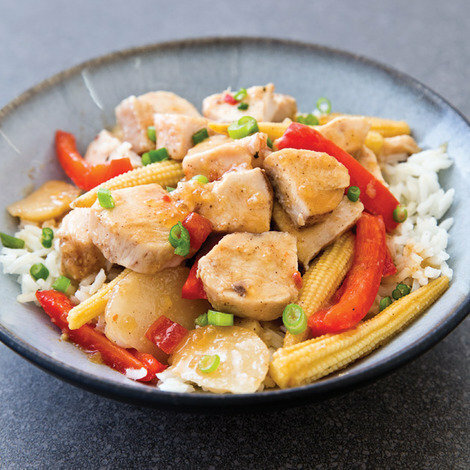 Stir in vegetables, sliced chicken, water chestnuts, and remaining 1 tablespoon ginger. Let sit until heated through, about 5 minutes. Sprinkle with scallions and serve. Place beef in the slow cooker crock. Pour beef stock, vinegar, and Worcestershire over beef. Cook on Low until beef is cooked to medium, 3-4 hours. Remove cooked beef from broth and set aside. Reserve broth. Cook mushrooms in oil until they begin to soften; add onion and green pepper. Cook and stir until vegetables are soft, about 5 minutes. Divide beef and vegetables evenly among the rolls. Top each sandwich with 2 slices cheese; wrap in foil. Place sandwiches in preheated oven and heat until cheese is melted; about 10 minutes. Serve hot sandwiches with reserved beef broth, if desired. Tacos or quesadillas loaded with sliced brisket, brie, monterrey Jack, and topped with a mango barbecue sauce. Rub the meat with salt, pepper, chili powder, and garlic. 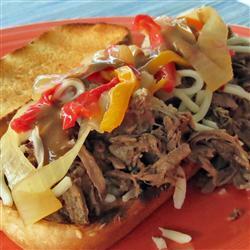 Place brisket in the crockpot and pour the Dr. Pepper over the top. Remove from the crockpot and let rest for 15 minutes. Slice against the grain (1/8-1/4 inch thick). Heat olive oil in a 2-qt sauce pan. Saute onions for 5 minutes. Stir in the remaining ingredients and simmer for 5 minutes. Transfer to a blender or food processor and run until smooth. Heat a griddle or large pan over medium-high. 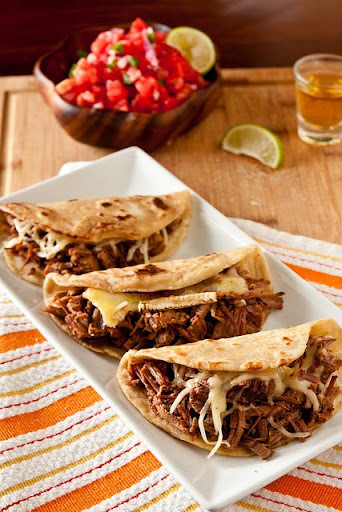 Divide the meat, brie, and monterrey jack between the tortillas, placing the meat and cheese on half of the tortilla. Top with a spoonful or two of barbecue sauce and fold the other half over. Place on the heated grill (brushing the tortilla with oil or cooking spray will prevent sticking). Cook until the bottom is crisp and flip over. Remove from heat and cut into 2-3 wedges. 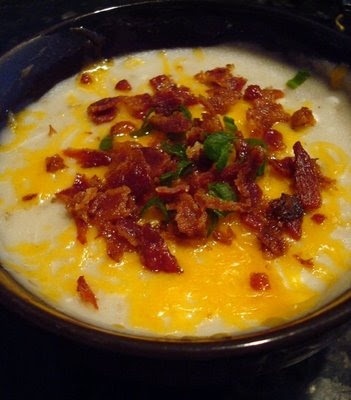 Serve with extra barbecue sauce. 1. Remove all visible fat from the chicken and toss it in the crock pot. 2. Place the onion slices on top of the chicken. 3. Pour the barbecue sauce over top. 4. You may not need the entire jar, just enough to cover the chicken. 5. Cook it on LOW for 8 hours or until the chicken is nice and tender. 6. 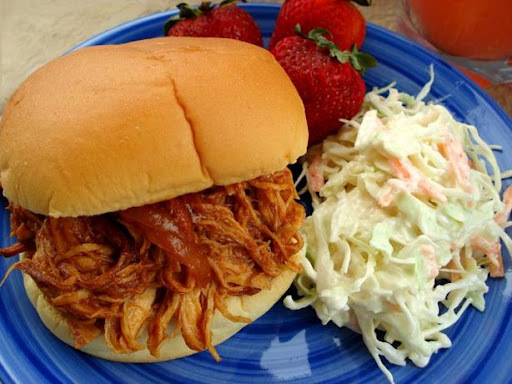 Shred the chicken with a fork and knife; scoop the mixture onto the bottom buns and top it with the top buns. 7. Or, if you’re like my dad, you might prefer leaving the breasts whole and eating it that way. 9. An easy weeknight meal that doesn’t heat up your kitchen in the summertime! 10. I love this with potato chips and a carrot and raisin salad.